I never pictured myself working in Europe. I have always been an eager traveler, and I spent many years living, working and doing fieldwork in Africa and Asia before starting my PhD. I was interested in topics like international development, environmental conservation, public health, and smallholder agriculture. These interests led me to my MA research in Mali, working for an NGO in Nairobi, and to helping found a National Park in the Philippines. But Europe seemed like a remote possibility. That was at least until fall 2017, when I was looking for opportunities to get abroad and gain some research experience for the following summer. I was worried that I wouldn’t find many opportunities, because my PhD research was different from what I had previously done. Rather than interviewing farmers or measuring trees in the field myself, I was running global models using data from satellites and other projects. Since most funding for PhD students is for fieldwork, I wasn’t sure what kind of opportunities I would find. However, luckily, I heard about an interesting opportunity called the Young Scientists Summer Program (YSSP) at IIASA, and I decided to apply. Participating in the YSSP turned out to be a great experience, both personally and professionally. Vienna is a wonderful city to live in, and I quickly made friends with my fellow YSSPers. Every weekend was filled with trips to the Alps or to nearby countries, and IIASA offers all sorts of activities during the week, from cultural festivals to triathlons. I also received very helpful advice and research instruction from my supervisors at IIASA, who brought a wealth of experience to my research topic. It felt very much as if I had found my kind of people among the international PhD students and academics at IIASA. 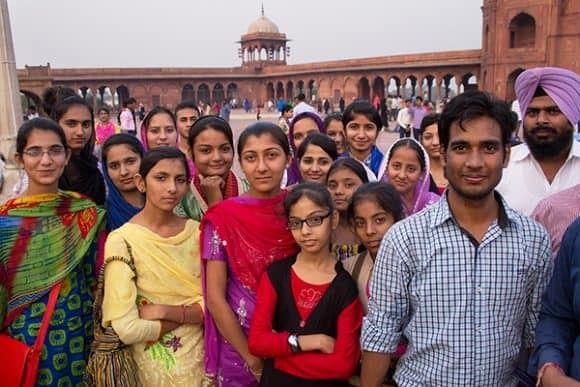 Freed from the distractions of teaching, I was also able to focus 100% on my research and I conducted the largest-ever analysis of drought and child malnutrition. Now, I am very grateful to have another summer at IIASA coming up, thanks to the Peccei Award. I will again focus on the impact climate shocks like drought have on child health. however, I will build on last year’s research by looking at future scenarios of climate change and economic development. Will greater prosperity offset the impacts of severe droughts and flooding on children in developing countries? Or does climate change pose a hazard that will offset the global health gains of the past few decades? These are the questions that I hope to answer during the coming summer, where my research will benefit from many of the future scenarios already developed at IIASA. 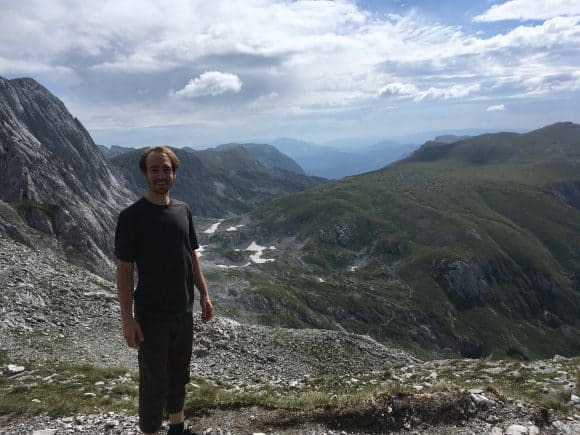 I can’t think of a better research institute to conduct this kind of systemic, global research than IIASA, and I can’t picture a more enjoyable place to live for a summer than Vienna. 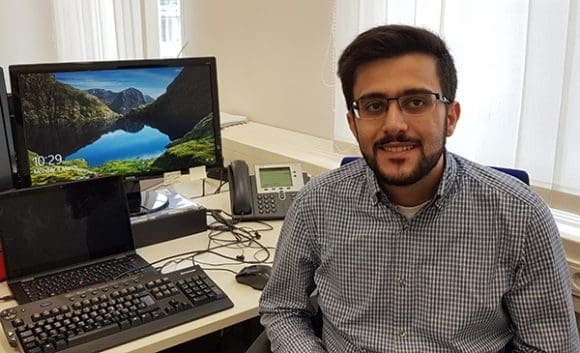 By Davit Stepanyan, PhD candidate and research associate at Humboldt University of Berlin, International Agricultural Trade and Development Group and 2019 IIASA Young Scientists Summer Program (YSSP) Award Finalist. Participating in the YSSP at IIASA was the biggest boost to my scientific career and has shifted my research to a whole new level. IIASA provides a perfect research environment, especially for young researchers who are at the beginning of their career paths and helps to shape and integrate their scientific ideas and discoveries into the global research community. Being surrounded by leading scientists in the field of systems analysis who were open to discuss my ideas and who encouraged me to look at my own research from different angles was the most important push during my PhD studies. Having the work I did at IIASA recognized with an Honorable Mention in the 2019 YSSP Awards has motivated me to continue digging deeper into the world of systems analysis and to pursue new challenges. Although my background is in economics, mathematics has always been my passion. When I started my PhD studies, I decided to combine these two disciplines by taking on the challenge of developing an efficient method of quantifying uncertainties in large-scale economic simulation models, and so drastically reduce the need and cost of big data computers and data management. The discourse on uncertainty has always been central to many fields of science from cosmology to economics. In our daily lives when making decisions we also consider uncertainty, even if subconsciously: We will often ask ourselves questions like “What if…?”, “What is the chance of…?” etc. These questions and their answers are also crucial to systems analysis since the final goal is to represent our objectives in models as close to reality as possible. I applied for the YSSP during my third year of PhD research. I had reached the stage where I had developed the theoretical framework for my method, and it was the time to test it on well-established large-scale simulation models. The IIASA Global Biosphere Management Model (GLOBIOM), is a simulation model with global coverage: It is the perfect example of a large-scale simulation model that has faced difficulties applying burdensome uncertainty quantification techniques (e.g. Monte Carlo or quasi-Monte Carlo). The results from GLOBIOM have been very successful; my proposed method was able to produce high-quality results using only about 4% of the computer and data storage capacities of the above-mentioned existing methods. Since my stay at IIASA, I have successfully applied my proposed method to two other large-scale simulation models. These results are in the process of becoming a scientific publication and hopefully will benefit many other users of large-scale simulation models. Looking forward, despite computer capacities developing at high speed, in a time of ‘big data’ we can anticipate that simulation models will grow in size and scope to such an extent that more efficient methods will be required. Quantitative models are an important part of environmental and economic research and policymaking. For instance, IIASA models such as GLOBIOM and GAINS have long assisted the European Commission in impact assessment and policy analysis2; and the energy policies in the US have long been guided by a national energy systems model (NEMS)3. Despite such successful modelling applications, model criticisms often make the headlines. Either in scientific literature or in popular media, some critiques highlight that models are used as if they are precise predictors and that they don’t deal with uncertainties adequately4,5,6, whereas others accuse models of not accurately replicating reality7. Still more criticize models for extrapolating historical data as if it is a good estimate of the future8, and for their limited scopes that omit relevant and important processes9,10. Validation is the modeling step employed to deal with such criticism and to ensure that a model is credible. However, validation means different things in different modelling fields, to different practitioners and to different decision makers. Some consider validity as an accurate representation of reality, based either on the processes included in the model scope or on the match between the model output and empirical data. According to others, an accurate representation is impossible; therefore, a model’s validity depends on how useful it is to understand the complexity and to test different assumptions. Given this variety of views, we conducted a text-mining analysis on a large body of academic literature to understand the prevalent views and approaches in the model validation practice. We then complemented this analysis with an online survey among modeling practitioners. The purpose of the survey was to investigate the practitioners’ perspectives, and how it depends on background factors. According to our results, published recently in Eker et al. (2018)1, data and prediction are the most prevalent themes in the model validation literature in all main areas of sustainability science such as energy, hydrology and ecosystems. As Figure 1 below shows, the largest fraction of practitioners (41%) think that a match between the past data and model output is a strong indicator of a model’s predictive power (Question 3). Around one third of the respondents disagree that a model is valid if it replicates the past since multiple models can achieve this, while another one third agree (Question 4). A large majority (69%) disagrees with Question 5, that models cannot provide accurate projects, implying that they support using models for prediction purposes. Overall, there is no strong consensus among the practitioners about the role of historical data in model validation. Still, objections to relying on data-oriented validation have not been widely reflected in practice. According to most practitioners who participated in the survey, decision-makers find a model credible if it replicates the historical data (Question 6), and if the assumptions and uncertainties are communicated clearly (Question 8). Therefore, practitioners think that decision makers demand that models match historical data. They also acknowledge the calls for a clear communication of uncertainties and assumptions, which is increasingly considered as best-practice in modeling. One intriguing finding is that the acknowledgement of uncertainties and assumptions depends on experience level. The practitioners with a very low experience level (0-2 years) or with very long experience (more than 10 years) tend to agree more with the importance of clarifying uncertainties and assumptions. Could it be because a longer engagement in modeling and a longer interaction with decision makers help to acknowledge the necessity of communicating uncertainties and assumptions? Would inexperienced modelers favor uncertainty communication due to their fresh training on the best-practice and their understanding of the methods to deal with uncertainty? Would the employment conditions of modelers play a role in this finding? As a modeler by myself, I am surprised by the variety of views on validation and their differences from my prior view. With such findings and questions raised, I think this paper can provide model developers and users with reflections on and insights into their practice. It can also facilitate communication in the interface between modelling and decision-making, so that the two parties can elaborate on what makes their models valid and how it can contribute to decision-making. Model validation is a heated topic that would inevitably stay discordant. 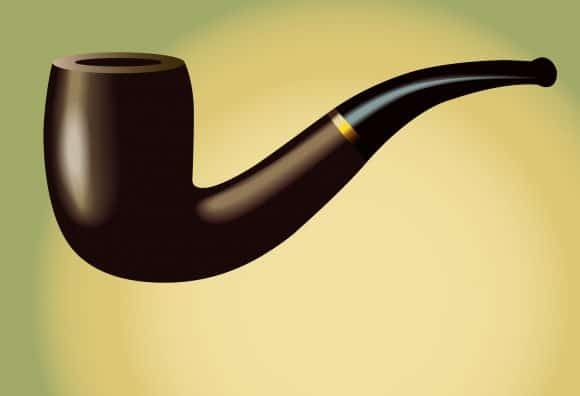 Still, one consensus to reach is that a model is a representation of reality, not the reality itself, just like the disclaimer of René Magritte that his perfectly curved and brightly polished pipe is not a pipe. On 14 December 2018, the Austrian Central Bank and the Reinventing Bretton Woods Committee co-organized a high-level conference on “Connecting Europe and Asia,” convening high-level policy makers, top business executives and renowned researchers. Taking place toward the end of the Austrian Presidency in the Council of the European Union, the goal of the event was to discuss ways to improve cooperation between Europe and Asia. As a true Eurasianist and a member of the European Society for Eurasian Cooperation I was really interested in attending the conference. It was opened by the governor of the Austrian Central Bank, Ewald Nowotny, who said that cooperation between Asia and Europe is vital, especially with China’s growing economic and political influence. Nowotny expressed regret that some countries see this as a challenge rather than an opportunity. Europe, however, remains the best place to be because of its economic strength. Marc Uzan, the executive director of the Reinventing Bretton Woods Committee, noted that we live in a new age of connectivity. The economic ties between the EU and Asia are quite strong but there is still space for stronger connectivity in the form of physical and non-physical infrastructure, market integration, and maintaining stability in Central Asia. Uzan highlighted the role of the European Investment Bank in various connecting projects. During the panel session on “Integration in Europe: European Union and Eurasia”, Elena Rovenskaya, the program director for Advanced Systems Analysis at IIASA, presented the institute as a neutral platform for depoliticized dialogue. IIASA has been running a project on the “Challenges and Opportunities of Economic Integration within a Wider European and Eurasian Space” since 2014, analyzing transport corridors, foreign direct investment, and convergence of technical product standards between EU and the Eurasian Economic Union. 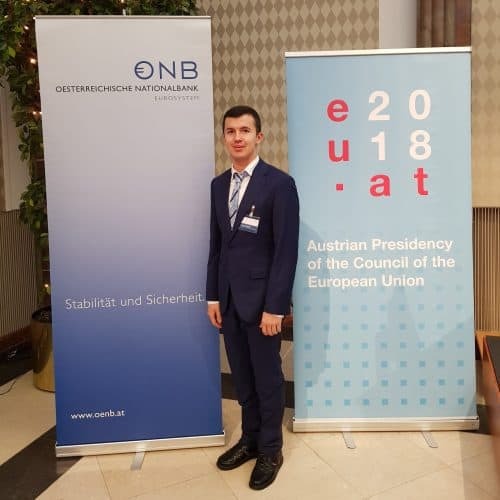 This report was especially exciting for me because I had a great opportunity of participating in the International Youth Forum “Future of Eurasian and European Integration: Foresight-2040”, hosted by IIASA in December 2017, and found it interesting to see how research into Eurasian integration at IIASA has advanced since then. The concept of dividing the integration in two subgroups (bottom-up and top-down) suggested by Rovenskaya also seemed new to me. ‘Bottom-up’ integration requires coordination between participating countries and involves development of transport and infrastructure – known as the Belt and Road Initiative – including development of the Kosice-Vienna broad gauge railway extension, and the Arctic railway in Finland. The top-down scenario would be based on cooperation between regional organizations and programs such as the EU, the EAEU and the Eastern Partnership. The challenge lies in harmonizing different integration processes. I find it unfortunate that despite the positive impact of theoretical EU-EAEU economic integration and cooperation showed by IIASA’s research, the economic relations between the EU and the EAEU are currently defined by foreign policies and not by economic reasoning. In his address, William Tompson, the head of Eurasia Department at the Global Relations Secretariat of the OECD, highlighted that the benefits of enhanced connectivity were not automatic and that complex packages, going beyond trade and infrastructure, would be needed. I consider that Tompson raised an important point that we should not exaggerate the benefits – landlocked locations and distance to global markets can be mitigated but not eliminated. Coordination among countries to remove infrastructure and non-infrastructure bottlenecks will necessary. Tompson’s empirics convinced me that there is a call for change. Kazakhstan pays US$250/t of freight to reach the countries with 20% of the global GDP, compared to just US$50 for Germany and the US. This is due to factors like distance, speed, and border crossings. I was impressed by Tompson’s international freight model. It shows that logistics performance is generally poor, and competition could be enhanced. The link between policy objectives and investment choices is often unclear. Tompson also criticized the ministries of transport, which he called “ministries of road-building”, for not knowing that transport was far more than that. The head of unit in the European Commission, Petros Sourmelis, presented the EU’s perspective. According to him, the EU is open to deeper cooperation and trade relationships with its Eastern partners, however, there are many barriers, including the EAEU’s incomplete internal market. I consider the proposal made by Sourmelis that “one needs to start somewhere” and his hope for more engagement quite promising, but engagement at the political level is some way off. However, the EU has seen constructive steps from Russia and is open to talks to build trust. Member of the Board of the Eurasian Economic Commission Tatyana Valovaya closed the high-level panel session. I think it was a good lead-up to start with a historical analogy of the ancient Silk Road. According to her, the global trade geography in the 21st century is shifting once again to Asia and China was likely to become a leading power within the next 20 years. I was encouraged by the idea that regional economic unions will likely lead to better global governance and building interregional partnerships between Europe, Asia and Eurasia will be vital to achieve it. Valovaya reminded delegates that in 2003 a lot of political and technical work had been achieved towards EU-Russia cooperation, which had then been stopped for political reasons. In 2015, the EAEU began wider cooperation with China as part of the Belt and Road Initiative, and in May 2018 a non-preferential agreement was signed to harmonize technical standards and custom regulations, to decrease non-tariff barriers as much as possible and to support cooperation projects in the digital economy. I share the view of Valovaya that the EAEU should not only consider China as a key partner. Valovaya gave the US as a good example, which has multiple economic partnership agreements. She admitted that the EAEU had some “growth pains” but stressed it is normal for such a project and efforts are focused on solving the problems. As for me, I believe it is necessary to understand the fundamental differences for the further connectivity. Valovaya emphasized that the EAEU was not aiming to introduce a common currency or to create a political union like the EU. EU-EAEU cooperation will strengthen both unions. More technical cooperation will be needed. And, of course, the leaders of the EU should be participating in the dialogue to better understand the EAEU and its work towards more connectivity in Eurasia.